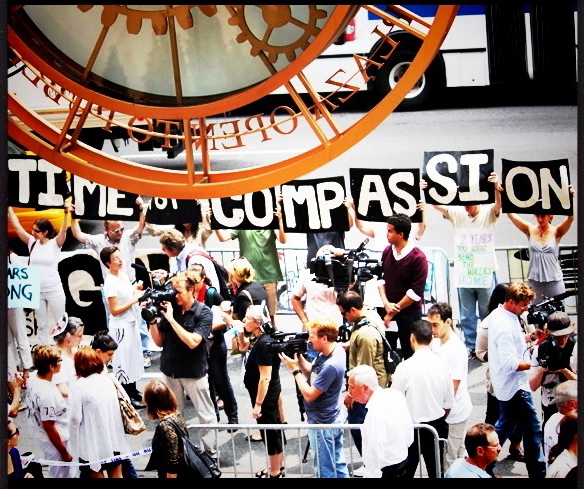 Farahway Global moves people to action at the nexus of human rights and mental health in two key areas. Moving people to free hostages and political prisoners. Moving people to walk with peers for inclusion and mental health. 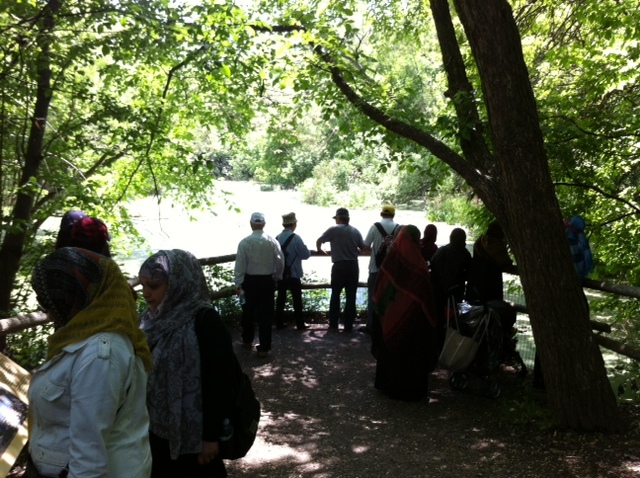 We had a glorious Jane’s Walk on a beautiful day in Regent Park. Our peer leaders and program partners were joined by more than 40 people, from current and former Regent Park residents, to people from across the city. We led the group on a route that reflects our journey from developing the program, to training, to leading peer walking/rolling groups. Peer leaders shared their personal experiences Staff from the Centre for Social Innovation, Regent Park Community Health Centre, Dixon Hall, and TD Centre of Learning, shared their involvement in Building Roads Together (BRT), and their broader roles in the Regent Park community. The TD Centre of Learning hosted the closing of our walk, complete with delicious refreshments made by a member of the Regent Park Catering Collective, who is also a Building Roads Together peer leader. 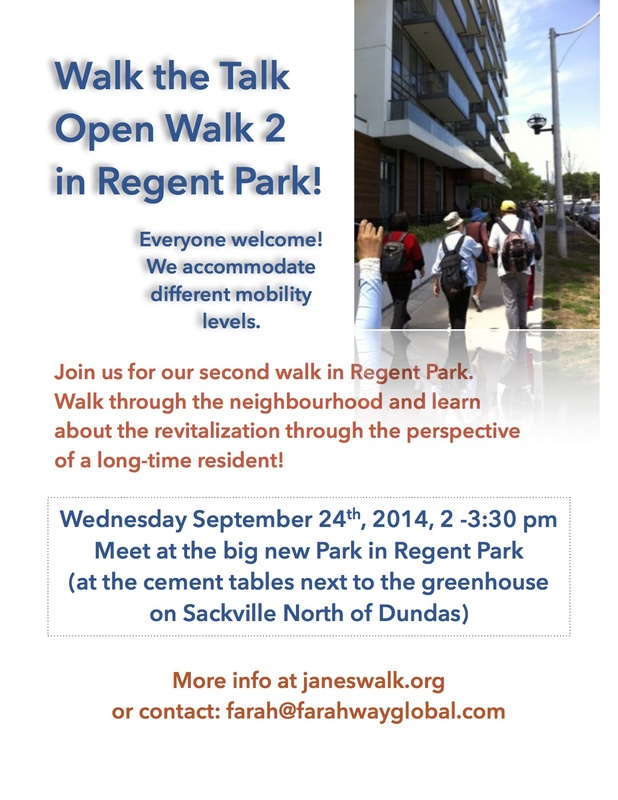 Walk the Talk is a weekly walking advisory group of service providers involved in growing Building Roads Together. It emerged from Farahway Global’s project Building Roads Together that trains people to lead walking peer support groups to promote mental health. It is a group of project partners, collaborators, and organizations and individuals who want to build the project together. 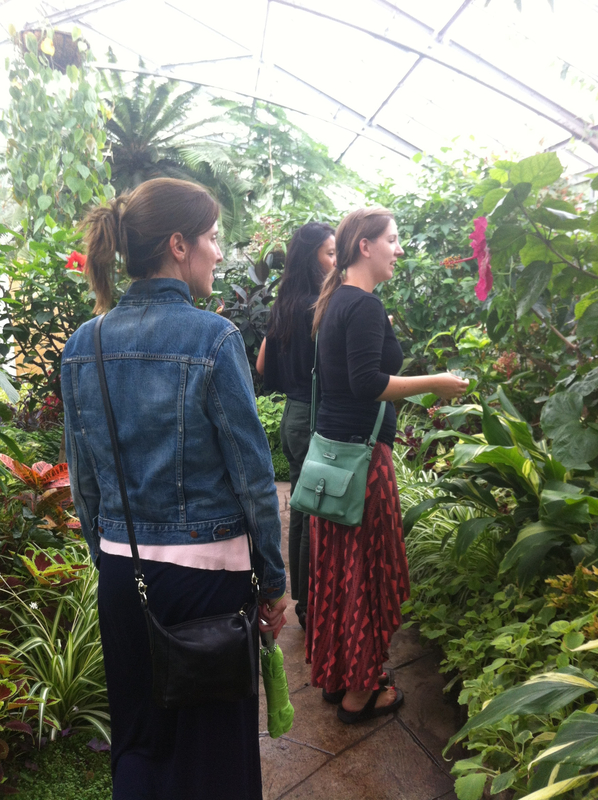 Organizations involved include Houselink, Regent Park Community Health Centre, Daniels Centre of Learning, 416 Community Support for Women, Canadian Mental Health Association Ontario, Homegrown National Park Project/David Suzuki Foundation, and our Centre for Social Innovation – Regent Park home. 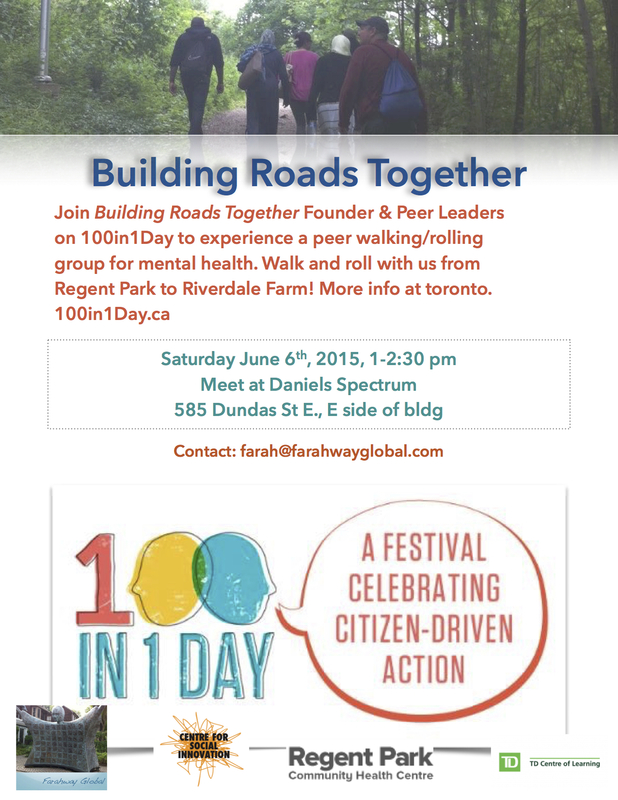 Supporters include Jane’s Walk and Toronto Public Health. 250 notable Canadians, including comedian Rick Mercer, diplomat Stephen Lewis & author Michael Ondaatje, voiced their support today for Canadian journalist Mohamed Fahmy in an open letter addressed to Prime Minister Harper. “We are writing to urge you to intervene personally and immediately [in Fahmy’s case],” states the letter, signed by 250 supporters, including Academy Award-nominated filmmaker & actor Sarah Polley, Academy Award-nominated director Atom Egoyan and author Naomi Klein. 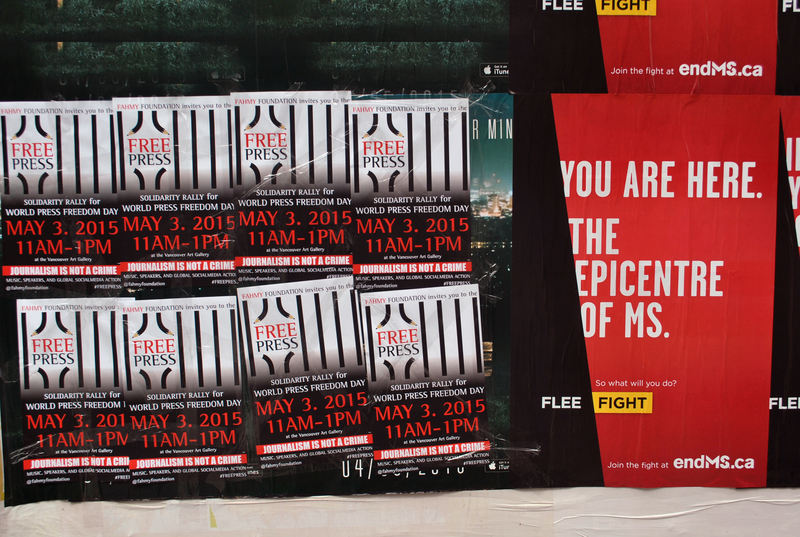 After 411 days of incarceration in Egypt, Fahmy has been unsuccessful in his attempts to return home to Canada. His legal counsel, Amal Clooney, has stated that there is no legalimpediment to Fahmy’s immediate transfer to Canada. Currently released on bail and facing a retrial starting February 23, Fahmy and his family are concerned that the Canadian government has not advocated on his behalf at the highest levels of the Egyptian government. In response, Fahmy’s family and supporters organized the #HarperCallEgypt campaign last week to bring attention to their cause. Last week, the #HarperCallEgypt hashtag was trending on Twitter in Canada, with Margaret Atwood, US Ambassador to the UN Samantha Power and MP Marc Garneau tweeting their support for his case. This support joins the 50,000 Canadians who have signed an online petition calling for Fahmy’s return to Canada. With statements of support from NDP leader Thomas Mulcair and Liberal leader Justin Trudeau issued last week, campaigners for Fahmy’s cause are planning to keep up the pressure until they hear from Prime Minister Harper directly. I write to you as a Canadian, and as a survivor of having a loved one wrongfully imprisoned in Iran. I write to you knowing what it feels like every moment of every day a loved is held captive for political reasons alone. It is haunting. It is impossible to feel free. It is impossible to focus on anything other than setting them free. With your own two hands. Even when the power to do so is not in your hands. The power is in your hands to call the Egyptian President and seek Mohamed Fahmy’s immediate release. He has been imprisoned in one of the worst prisons in the world for 411 days. 411 days! When every moment of every one of those days is torturous for him and all of his loved ones. His family has had to put their lives on hold and fight for his freedom with everything in them. For 411 days. Surely you can make one phone call to prevent them all from suffering one more unnecessary moment. Don’t you stand with all Canadians in support of our citizens suffering through unjust detention abroad? Don’t you have the responsibility on behalf of all Canadians to intervene and end Mohamed Fahmy’s suffering through unjust detention abroad? I am doing everything in my power to end the suffering of Mohamed Fahmy and his loved ones. I am asking you to do the same. 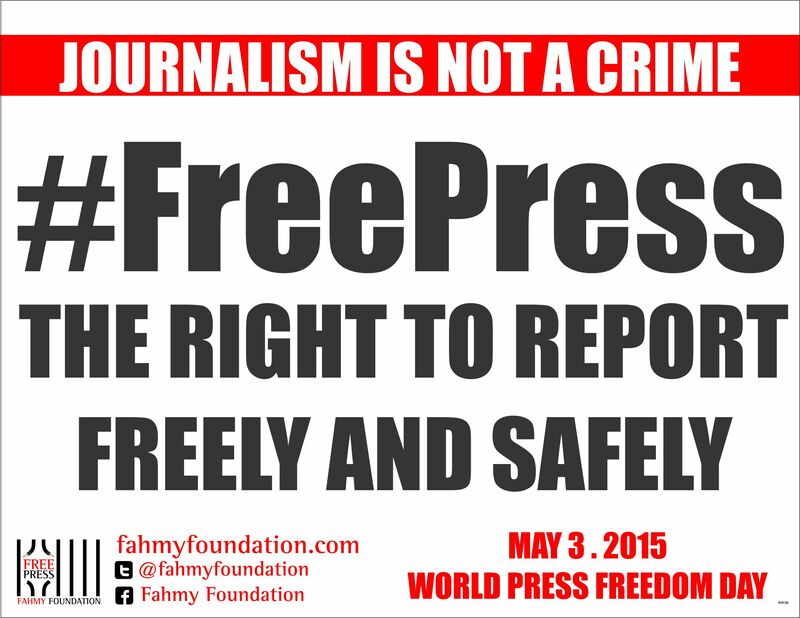 Please call President Sisi and prevent Mohamed Fahmy’s unacceptable nightmare from continuing for one more moment.